April 15, 2013 marks is the 2013 tax deadline and the day that many of us will be scrambling with the last moment filings (by the way, Canadians go through it the same month). Recent report from MasterCard (Tax Facts Survey) demonstrates that even though majority of taxpayers are organized and get their taxes out of the way before April comes around, the is still large number of people who don’t get started until the last moment. IRS tax stats indicate that this year there were some 38 million taxpayers who waited until the last moment (those filing between April1 to April 20) to submit individual income tax returns. In many circumstances taxes should be more straightforward and easier to file; astonishing 83% of the respondents agree with this statement and add that getting through the process should be more convenient. Skipping filing taxes is an option because of the complexity of the process. Scrambling to get the documents and numbers in order causes that 17% of respondents would go as far as guessing that information; aside from a potential audit and penalties, those estimates might be hurting you if you over/under estimate categories that could potentially benefit you. Also, by waiting until the last minute you’re risking omitting deductions, which to me sounds like a lose-lose situation. For the reasons mentioned above, it might pay off to take additional steps to be more tax savvy in 2013. First, review the tax return you just filed. Did you do it yourself? If yes, in what areas did you encounter difficulties? What took you the least time to prepare? Would you do anything differently? Write down all you concerns and challenges, as well as sections you would like to learn about and start investigating right now. Filing taxes can be stressful not only on those who prepare them but also on their families. Because of their complexity, individuals often spend more time working on the returns, unconsciously ignoring their families (According to H&R Block calculations individuals who prepared the tax returns by themselves spent an average of 23 hours to complete the process). If you’re one of them, maybe it’s time to look elsewhere for help. In 2013 Canadians will file personal tax returns on or before April 30. 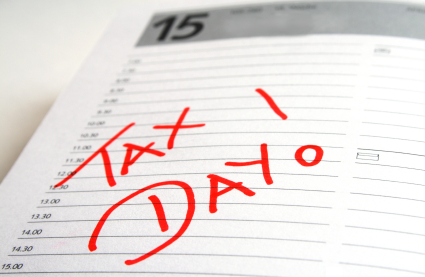 Canadian tax code allows for self-employed business owners to file taxes on or before June 15. Since in 2013 that day falls on Saturday, the date moves to the next business day, in this case the 17th. Regardless of that date, any amount owed for 2012 still has to be paid by April 15. Dates differ somewhat for businesses, specifically corporations that have 6 months from the end of their particular tax year-end to file returns.